As many people today have to face the fact that they have cancer, I wanted to share my personal story to take away all your fears about the word “Cancer”. You can heal your cancer naturally and in my case within 1 hour. We are being bombarded with fear about cancer, while all of us have these cancer cells in our body. Everyone of us. Our body can either balance them or create an overgrowth of cancer cells. It all depends on our lifestyle and our way of thinking. That is it. One day, about twenty years ago, I found out I had this lump in one of my breasts which was after checking at the hospital, a big tumor. Normally people follow the system and undergo surgery, radiation and chemo. Plus they have to use for about 2- 5 years, very dangerous medications until their body has no immune system left. And until all healthy cells have died, just as the whole body. Why? Because the doctors tell them that this is the only way to treat cancer. Why do they still need to collect money for cancer solutions (pink ribbon and more) when this advice is already their solutions for treating cancer? Because Big Pharma wants even more money. Not because they want a cure for cancer. No, they do not want to cure you. When we all would be cured they can not make billions of dollars profit any more. Therefore they want to make and keep everyone really sick. But the healing natural solutions for cancer have already proven to exist. They did not wanted us to find out about that. Killed people for it and used all media to control the people with what they wanted us to believe and think. Meaning falsely informing us that chemo and radiation will fight cancer. The truth is: it destroys life and it is not building health in anyway. With what we know today chemo and radiation are causing cancer. We all have been fooled. So twenty years ago, I discovered this big lump myself. Well internet did not exist and other information besides what we were told by doctors or what was on the news was not available. As always I did not do what other people do. My mind could not believe that my body needed this medical way of treating cancer and I was sure I would find another solution to heal myself. 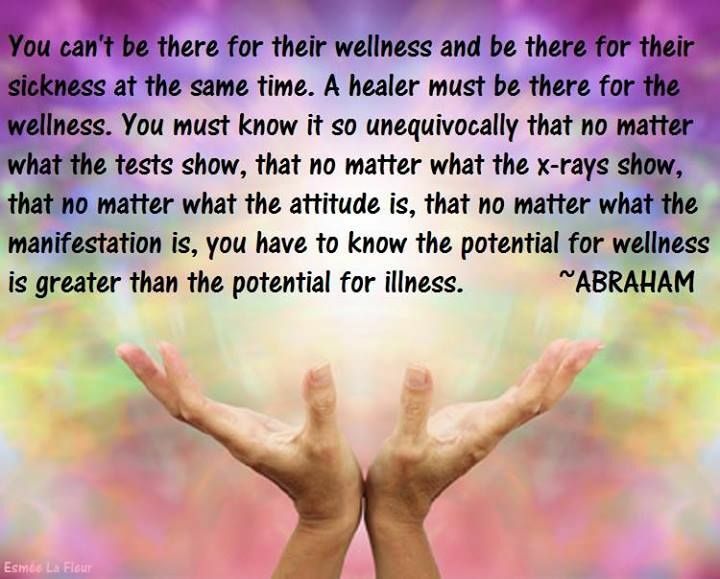 I had already experienced energy healing 25 years ago and knew that there were better solutions for treating diseases. My spiritual healer friend told me back than that he knew I was a healer too. Who Me? He learned me to see aura’s and he showed me the unseen world. I saw energy all the time. We are all energy and when energy gets stuck, we get sick. Energy most flow, CHI must flow. How does our energy get stuck? When you do not take care of your energy system and when you are enduring stress, having emotional situations and do not work them out. We create blockages and energy will get stuck. When we are lacking fuel for our body. Fuel for our body means: raw food, vitamins, minerals, oxygen, clean and healthy water and the sun (vitamin D) our personal energy generator. This followed by: when we are not active at all or when we are doing too much or over- exercise. How does the Western world look at diseases? Well they treat the symptoms (with drugs only) but forget to treat the cause of the disease. How do they look at diseases in China? They look at the whole body and they will find and treat the cause as they also treat the whole body. They cure you with energy and herbs, all without any scary side effects. Chinese people can look at your face and body and see where the energy is blocking as they look for spots, skin discolorations, wrinkles, lines etc. The location of these spots tells them what organ is blocking and more. How interesting and how different from what these Western doctors do. As I could see energy myself at the time I had this tumor, I knew what I had to do. My energy, my chi was not flowing for sure. And yes I knew why, see above. At that time I was a fashion designer and traveled the world to design collections. Right after the news from the hospital, I had to go to Taiwan for business. I knew my cure would be in China, but I did not expect anything, I just knew it. The first thing I did was asking my suppliers if they had a solution for cancer, and yes they had, no problem. One of them said to eat or juice, wheat grass. He did send me immediately seeds by mail to grow them myself. I had to let them grow and when the grasses became longer, I had to cut the grass and juice it. Beautiful how refreshing and kind. And what a different look on cancer, not you need to go to the hospital or you will die, none of all that just simply: eat wheat grass and here are the seeds. That’s more like the world I want to live in. The other supplier said: we will take you to our friend after working with you and he will be able to help you. All positive responses. When I arrived in Taipei, Taiwan, Juana my supplier took me after working with her, to this friend, which was a beautiful kind and wise man, a Chi Kung master and an energy healer. I told him about my situation and he said okay, I can help you. He asked me to stand in the middle of a room and he told me to relax. Not difficult and painful at all. Then he used his hands around me, as if he was pulling energy out and in and he was burping the whole time. He did not touch me at all and I was just standing there for 10 to 15 minutes. Then he asked me to lay down on a flat chair, as he wanted to do Acupuncture on my body and face. He did put some needles into my skin, no pain at all and left me there for 15 minutes after which he pulled the needles out again. That was it. When I was leaving he gave me a book about Chi Kung (Qigong) with instructions and asked me to look into this energy healing method to use it myself. He told me he had removed bad energy, (the burping for sure). Next to that he had energized my body in a way that all my meridians were cleared. The chi was flowing again. Chi most flow to be healthy, it is that simple. The next day I decided to check myself and I jumped up and down from happiness, as the bump was all gone and I was feeling so amazingly good. Well even though this happened a long time ago, this way of healing is still available and we can heal ourselves too. We just have to believe that everything is possible and not believe what they want us to believe. Use your own way of thinking and believe that you can find a solution for every ailment. You just have to look further then what you are taught by the system. As we are now further in time, I know the western way of treating cancer has not been changed a single bit. The medical institutions have not allowed any solutions in more than 85 years of time, and it is so wrong and disgusting for how they treat our people, our children and our animals when they have cancer. Using chemicals, the same as they used in the war (mustard gas and more), and cutting off body parts is not how it is supposed to be. We have to stop this madness. And we just have to pass this information on to everyone to create a new world together. When they cannot sell their chemo and drugs any more they will have to stop producing it. No doctor will use chemo on himself or on his own children so why should we have to use it or why are we being forced to use it. Now in some countries children are forced, by government institutions, to be hospitalized and to undergo chemo treatment against the will of their parents. Be wise and educate yourself. Free yourself from this corruption, think and chose for yourself, for your children and your grandchildren. The best way is prevention. Change your habits, relax more, let go of the past, look at what you eat and drink and what your children eat and drink, look at what you use for personal care products and learn to be your own healer instead. And most important do what you like to do most. Enjoy. The secret is that we are all energetic beings and that everything is made up from energy. Chemicals stop energy from flowing, that is why we need natural and organic solutions for all diseases on this planet. I started to study more about energy and learned how to use it after my children got sick. Before that time I could not find the time for it, but when my babies got very sick of their vaccinations I needed to act. We all are able to learn to work with energy. You too, every one, we are energy. You can start by reading a book about this and I would recommend, to start with the Reconnection and after reading this book: The Reconnection, about three times, you will notice your hands will start to tingle (just by holding and looking at the book the energy will be activated through your eyes, and this is the only book I know that creates this) and you will learn how to use it by following this Reconnection Course (today also to follow it to some degree online) if you like and by reading other energy healing books and do practice it on everyone. Practice on your kids, your pets and on yourself. You will be a master too. At this time I use my healing energy for my children, my family and animals. I would love to guide you with more information later on, how to use it and how to be a clean channel for it and much more. There are many more solutions (300+) for healing cancer, and so many solutions for all other diseases and you know what: they are all natural and without any side effects. We will show you all solutions for cancer in another post. Be amazed as nothing is what you are told. You are the solution to everything, as you can heal yourself from now on.